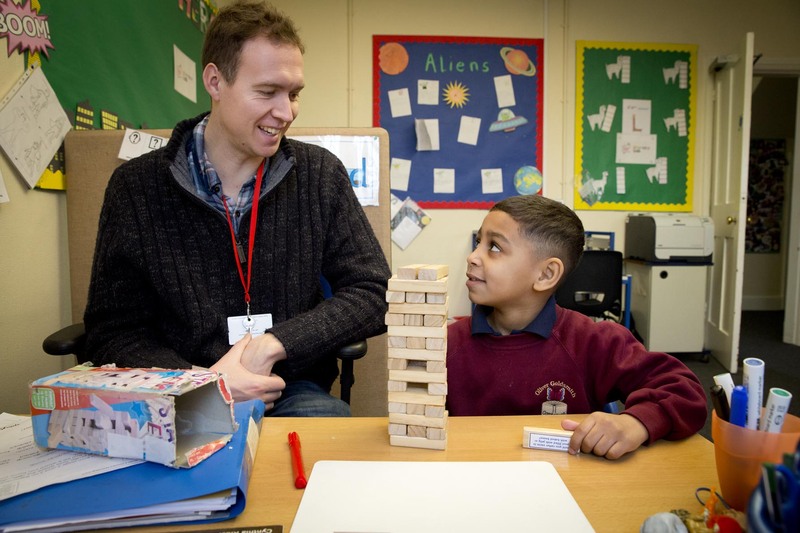 As a tutor, you could make a valuable difference to a child. Our dedicated tutors help build children’s literacy skills and confidence, making life-changing differences. What could be more rewarding? What does the role of a Literacy Lab Tutor involve? Our school Literacy Lab Tutors work at least two days a week, during which time they see six different children for 45 minutes each. The rest of the time is dedicated to planning. Some of our tutors work four days and see 12 different children. What does the role of Community Literacy Lab Tutor involve? Our Community Literacy Lab Tutors work at least two sessions per month, either after school or on a Saturday morning or afternoon for three hours at a time, with sessions for four children lasting half an hour each, plus time for planning. The ability to empathise and build rapport with children is key. All our staff need to be able to quickly tune in to a child and respond to their needs and mood. Similarly, we work hard to build links with parents and so approachability and strong communication skills are vital. Other than that, we’re looking for individuals who are reliable, have heaps of patience and are keen to learn. Experience of working with primary school age children is a definite bonus. It is important that you can demonstrate the right attitude and commitment to the role. All our tutors are given a three hour phonics training session. You’ll also be trained in how to carry out assessments in reading, comprehension and spelling. In all of our school Literacy Labs we have a Senior Literacy Tutor who will provide on-going support including help with planning lessons. They will also observe you teaching and give you feedback. In our Community Literacy Lab, this support is given by one of School Programme Managers. In addition, all our tutors receive training in safeguarding. And you’ll also receive continuing professional development. "When you make a breakthrough with a child, it really is an incredibly satisfying feeling."